Sony Online Entertainment has announced its latest endeavor with Lucas Arts and game developers Bioware. 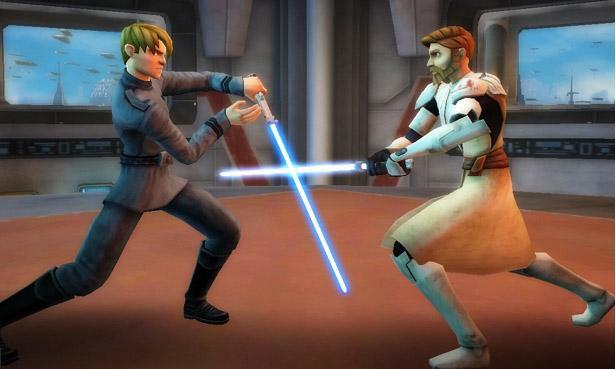 Star Wars: Clone Wars Adventures, a new MMO based on the animated television series is set for a Fall release. The game will be a kid-friendly, free-to-play MMO that will feature lots of online mini-games based on the popular cartoon series like tower defense style play or typing drills. Players can also create and customize a character, purchase pets and compete against other players in daily challenges. Although its free to play, gamers can upgrade their account based on a monthly membership fee to unlock further advances and more stuff to do. Like many new MMO’s, Star Wars: Clone Wars Adventures also offers a Farmville-like microtransactional system using Sony’s Station Cash. To check out official site of Star Wars: Clone Adventures, click here.